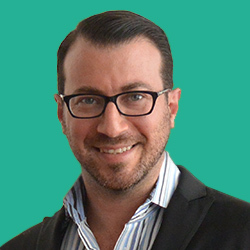 Craig Leshen, President and Founder of OAO, opened the company in October 2003 in a small office in midtown New York City. Under Craig’s stewardship, OAO has seen healthy growth and expansion while remaining true to its core philosophy of providing the highest level of service and support to online publishers. The company now has offices across the United States and is widely recognized as an industry-leading provider of ad operations services for publishers around the globe. Craig began his career in online ad operations in 1996 at Hachette Filipacchi New Media, managing advertising campaigns for their websites and America Online properties, such as Car and Driver, Road and Track, Woman’s Day, Premiere, and Elle Magazine. In 1999 he helped start up the Ad Operations division at Phase2Media. As the Director of Online Ad Operations for their direct advertising business, he was responsible for managing relationships with both clients and agencies, along with ad campaigns on the company’s wide network of branded and direct marketing websites. Craig graduated from Boston University, where he earned a B.S. in Business Management and Marketing. As Executive Vice President, Michael oversees OAO’s ad operations and professional services groups while helping to drive the strategic direction of the company. He has played a vital role in the company’s growth from a four-person start-up to a market leader in publisher side ad operations. Michael began his career in online advertising in 1996 as production supervisor at Venture Communications, where he founded and led the company’s online ad trafficking group. From there, he joined Modem Media where he developed his skills in both ad operations and website production by working with blue chip clients such as AT&T and Citigroup. Michael then went on to serve as the manager of creative and production services at Dejanews.com and then as director of ad operations at Phase2Media, where he led a team that was responsible for managing ad campaigns in multiple ad servers across a network of over 100 websites. Michael is a graduate of Syracuse University, and received his M.B.A. from the Zicklin School of Business at Baruch College. Jennifer Hill joined OAO in 2007 and oversees teams in the San Francisco, Denver, Chicago and New York offices. Previously, Jennifer was director of advertising operations at Jumpstart Automotive Group, where she built and managed an ad ops team from the ground up. She has over 10 years of experience working in advertising operations with past positions including managing West Coast Ad Ops for Phase2Media and FortuneCity.com. Jennifer holds a B.S. from Northwestern University and an M.B.A. in International Marketing from San Francisco State University.